I was going to start this review by talking about guilty pleasures until I saw the above quote from everyone’s favourite hard rocker Dave Grohl and it did get me thinking and thinking enough to completely change the tac of this review…. Mr Grohl really has a point, maybe we stick too rigidly to our favourite genres and don’t look outside our safety cordon music wise? And, when we dare venture outside and find that there is something different that we really like, why should we feel guilty about it? It is an old and oft spouted saying but it still rings entirely true, good music really is, just, good music, no matter what style it is and which artist performs it. We tend to make this differentiation a lot more when it comes to music than with anything else such as films, TV or the literary arts where we will dip in and out of many different genres without a care or a by your leave. How many times have you seen somebody laughed at and dismissed out of hand for listening to a record that doesn’t fit into the cognoscenti or aficionado’s realm or current favourites list? It is just wrong and we should open our minds to other music that we may well actually really enjoy if we just lose the stigma. 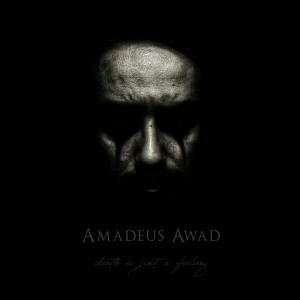 Now, after getting off my soapbox (while admitting I can be as guilty as anyone else) let’s talk about what started this dissertation on opening up our closeted musical imagination……..
Lebanese maestro Amadeus Awad is a progressive metal guitarist, composer, multi-instrumentalist and music producer with an already impressive back catalogue behind him. August 2015 saw him release his latest and most complete album yet, a 47 minute, 6 track concept album called ‘Death Is Just A Feeling’. To this end he has drawn together a stellar list of musicians, as well as Amadeus himself (Acoustic, Electric & Bass Guitars, Keyboards and Orchestration) this all star lineup includes vocalists Anneke Van Giersbergen, Arjen Lucassen, Elia Monsef, drummers Jimmy Keegan and Marco Minnemann, Nareg Nashanikian (cello), Rafi Nashanikian (clarinet) and the narration is splendidly realised by the impressive voice of Dan Harper. The album opener Opia has feeling of lightness and an ethereal quality, the first word spoken is ‘Light’ and it is a song that gives hope. 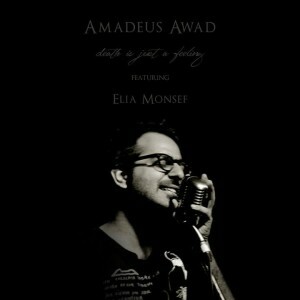 The keyboards are uplifting and fill your inner being with a luminosity only matched by the fluid, burnished guitar work. I can see why Dan Harper was used for the part of the narrator, his voice has a calming authority to it and a mellifluous timbre that dances across your psyche. 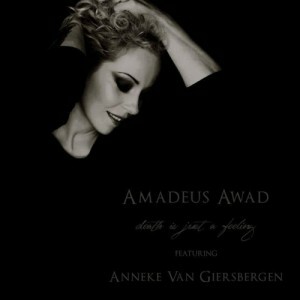 Anneke Van Giersbergen’s delightfully lilting, heavenly voice takes the song to a close with a rarefied grace that is achingly beautiful. 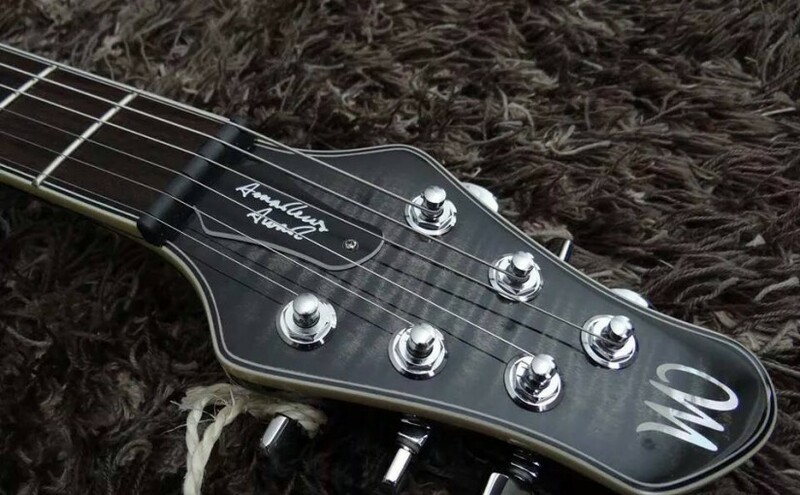 There is no break as we shift up a gear and power into Sleep Paralysis with a dynamic keyboard and pulsating guitar taking up the reins on the powerful introduction. 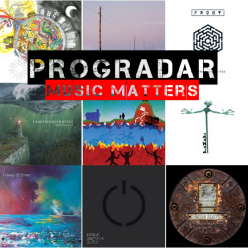 A progressive metal melting pot of great ideas that bounce of the metaphorical walls to give a primordial soup of musical delights. It takes on a more subdued, yet insistent feel before Anneke’s voice chimes in, this time much more dominant and authoritative, yet no less stunning. The melodies are the focus here, the chorus is especially compelling, backed by the superb musicianship, a symbiosis of near-perfect melodic enchantment. The way the track starts to wind down, becoming more subdued, as it reaches the close is expert and inventive, as the acoustic guitar finishes its last note you are left in a place of comparative calm. The dulcet tones of the narrator return on Monday Morning, this time with a definite edge, a dissonance to them, as if all is not as it should be. There are subliminal questions being asked here and the answers are not all to your liking. The electronic notes that follow seem to be pulling you forward, in anticipation of something coming that could be either good or evil, depending on how you react to it. Potent and influential, you find yourself holding your breath as it seems to come ominously closer. The pace is steady and regular, like the outcome is inevitable so there is no need to rush. There is a deliciously dark rhythm to this song that I find rather disturbing yet can’t help enjoying it…. The dark journey into hopelessness seems to reach its zenith with Tomorrow Lies. A brooding, haunting tone is added to by the portentous drumming of Jimmy Keegan and it is with a seemingly heavy heart that you continue to listen to the rest of the bleakly appealing song. Elia Monsef’s definitively middle eastern intonation adds a serious gravitas to proceedings, he sings as if his heart is breaking with every word. There is a huge depth of humanity central to this track, a seriousness that leaves you in no illusion as to the outcome of this painful situation. 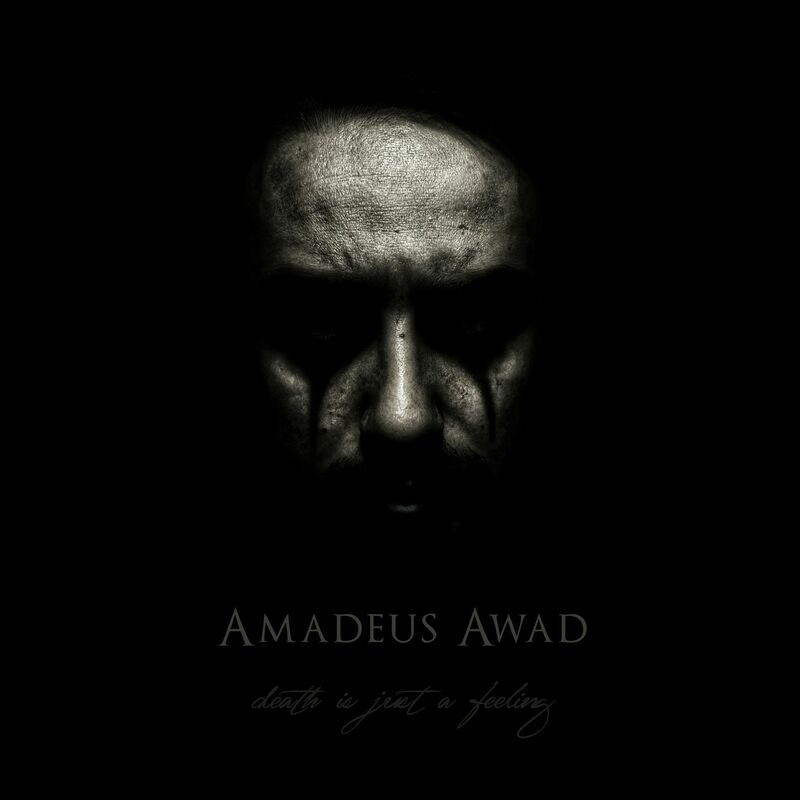 The instrumentation is dazzlingly precise if somewhat subdued and is a testament to the songwriting skill of Amadeus, he can impose his musical brilliance yet take none of the pathos away. The soaring strings add a sheen of humility and respectfulness and the guitar solo leaves you open mouthed and grief-stricken as it winds around your mind. With a definite notion that a song should close just as well as it opens, the ending is once again quite superb as the beguiling strings and guitar bring it all to a close with a final feeling of hopefulness that belies the rest of the track. Now onto the longest, and my favourite, track on the album. A sombre Cello opens Lonesome Clown adding a meditative and fretful note to the song. Portentous and mysterious with Anneke’s humming and a slightly off-kilter feel, it really does seem to take you out of any comfort zone you thought you were in and leave your senses reeling, open and raw. The vocal begins, earthy and direct, almost as if a spell is being cast. There is a sinister undertone to all that is happening here and you really feel as if you have been caught of guard and dumped in a musical version of Dante’s Inferno. An all knowing presence seems to be at your side edging you on as the song builds, becoming more and more oppressive and yet addictive at the same time. Wickedly controlling it shows the slightly malevolent genius that resides in the mind of Amadeus Awad and is perhaps more progressive and definitely more metal than the other songs on the album. There is an odd, siren like build up that seems to break over a wash of mellifluous keyboards before the sinuous, vividly disturbing guitar solo takes you on a dark journey through your own soul. The outspoken and expressive vocal and acoustic section that follows seems to stand on its own adding another level of finesse before exploding outwards in a shower of inspiration. The song closes with Dan’s expressive voice-over, you take a breath and inwardly applaud, shaking your head in amazement, it is that good. The final track on the album begins with a delicately strummed acoustic guitar, strings and expressive drums. 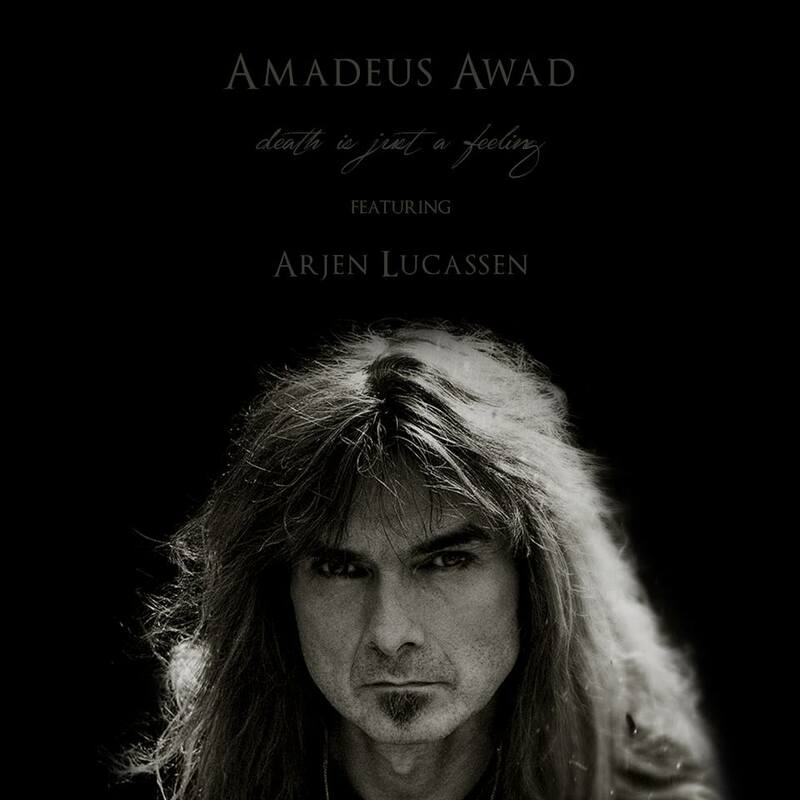 Temporary sees Arjen Lucassen take vocal duties and his eloquent voice is perfectly matched to the instrumentation. Melancholy yet inspirational at the same time, it reminds me of American prog rockers Spock’s Beard and is a really involving, catchy song that seems to want to comfort you with its warmth and integrity yet there is always a sad note in the background. A soulful clarinet takes centre stage before the rest of the instruments join, adding layers of intense musical flavour and Arjen’s voice is always present adding a focal point on which you can hold on to. Marco Minneman takes on the drum duties with aplomb adding a wistful mood to the already mournful ambience imbued. Things are building up to something here and when Amadeus lets rip with an incredible, soul searching guitar solo, you are left flabbergasted. Is that moisture in your eyes? it was in mine as it totally blew me away, utterly magnificent. The song, and album, finally come to a close with a final narrated section, this time by Arjen himself, and you are left to reflect on what has just transpired before you. Short by modern standards at 47 minutes, you feel like you can listen to this gem for hours and never get bored. 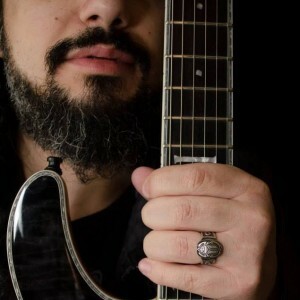 Deliciously dark, it is music that takes you to the depths of your inner being and back again, there has been nothing quite like it in this year of musical zeniths. Amadeus Awad and his group of distinguished musicians have delivered not only a superb piece of music but, what to me is, a part of themselves that will live on forever as fantastic art. A triumph in every sense of the word. A guilty pleasure? No, just an intense one!